Brass Pipe Flanges, Bronze Slip on Flanges, Brass Blind Flanges, Threaded Flange, Bronze Plates Flanges Manufacturer in India. We are one of the leading manufacturers & exporter of Bronze & Brass flanges, we made of Bronze & Brass flanges with include forging and casting. Also, we can produce as per your drawings and specifications. These Bronze & Brass flanges are manufactured by making use of quality-approved components under the observation of highly experience technocrats in accordance to quality standards. These products are rigidly tested on various quality parameters to provide a defect free range in the market. Offered range is applicable for construction and automobile industry. 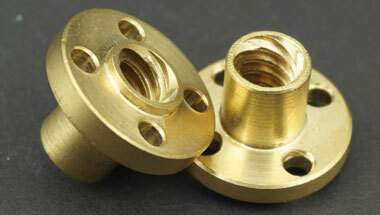 Brass Flanges, Bronze Orifice Flanges, Bronze Forged Flanges, Brass Socket weld Flanges, Bronze Reducing Flanges Supplier in India. Ratings - PN16, CL150. Face - R/F, F/F. Saudi Arabia, UK, Colombia, Ethiopa, Chine, Houston, Iran, Kuwait, Germany, Ghana, Morocco, UAE, Israel, Sudan, London, Nigeria, Iraq, Democratic Republic of the Congo, Africa, Argentina, Cameroon, Angola, New Zealand, Canada, Dubai, Italy, Russia, Indonesia, Azerbaijan, Egypt, Bahrain, Peru, Australia, Sri Lanka, Malaysia, United States, Vietnam, Mozambique, Algeria, Brazil, Mexico, Tunisia, Thailand (Bangkok), South Africa, Trinidad and Tobago, Uganda, Venezuela, Jordan, Kazakhstan, Turkey. Yaoundé, Sharm el-Sheikh, Harare, Addis Ababa, Jeddah, Ibadan, Tehran, Data from the UN, Zaria, Cairo, Rabat, Singapore, Giza, Tel Aviv, Amman, Luanda, Kolwezi, Fez, Lubumbashi, Riyadh, Subra al-Haymah, Manama, Byblos, Kinshasa, Accra, Khartoum, Mbuji-Mayi, Johannesburg, Alexandria, Mogadishu, Brazzaville, Port Harcourt, Maiduguri, Benin, Algiers, Dammam, Beirut, Bulawayo, Bethlehem, Abu Dhabi, Dar es Salaam, Douala, Ouagadougou, Freetown, Istanbul, Jerusalem, Antananarivo, Lusaka, Dakar, Abidjan, Soweto, Tripoli, Doha, Muscat, Cairo, Kano, Port Elizabeth, Casablanca, Omdurman, Colombo, Kaduna, Durban, Dubai, Hong Kong, Lagos, New York, Cape Town, Nairobi, Pretoria, Kampala, Aqaba, Maputo, Conakry, Bamako, Mecca.